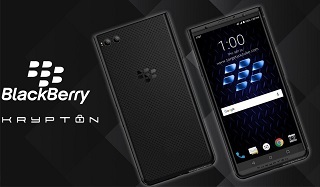 Meet BlackBerry Krypton a new Blackberry device with 4GB RAM and 64GB internal storage memory. Blackberry Krypton features a 5.5 Inch display screen with a resolution of 1080 x 1920 pixels. It has a 16 mega pixel primary and 8 mega pixel secondary camera. Running on Android v7.1 Nougat the device is powered by an Octa Core Qualcomm Snapdragon 626 Processor and weighs 155 g. It has 4000 mAh battery capacity. Checkout complete specification below.